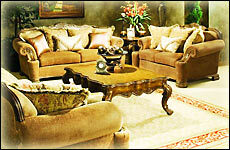 Manmohan Furniture is a family owned furniture manufacturing business. The proprietor has been into Wood related furniture business for more than three decades since 1982 and Manmohan Furniture is a popular name in the furniture industry for its quality work. To us, furniture will never be a commodity. It is much more important than that. Furniture is the vital ingredient that makes your house a home, a real expression of your style and individuality. It is also a major investment. So it is only natural you should demand the very best for your money, with customer service that is second to none and that is what you will find at Manmohan Furniture , where furniture is our pride, our passion and our skill. Manmohan Furniture mission is to offer the customer high quality hand made artistic comtemporary and modern furniture at competitive prices. Artistic hand carved furniture has always been the speciality of Manmohan Furniture. 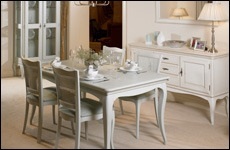 Our product range includes Bedroom, Dining room, Study and Living room furniture. The material used in the construction is the best of the quality wood or as per the customer preference. Our mission is to be a leading designer and manufacturer of furniture. The company strives for design excellence in all its furniture and aims to continuously introduce exciting collections of individual contemporary products. Our Mission is to design and manufacture innovative contemporary furniture designed for sleeping, living, and working. We offer our clients a unique and distinct environment inspired by the choice, simplicity, and quality of our collections. We exist because of our customer and are very grateful to them for making us what we are today. We are leaders in contemporary and hand carved furniture manufacturing and our expertise in innovative and sophisticated design is reflected in the high quality of our products. Our Vision is to offer our customers the best products and services and to always exceed customer expectations for their delight.